BECOME THE MASTER (mini) THIEF! Can you escape with the loot? Play as the Master Thief and steal as much as you can. 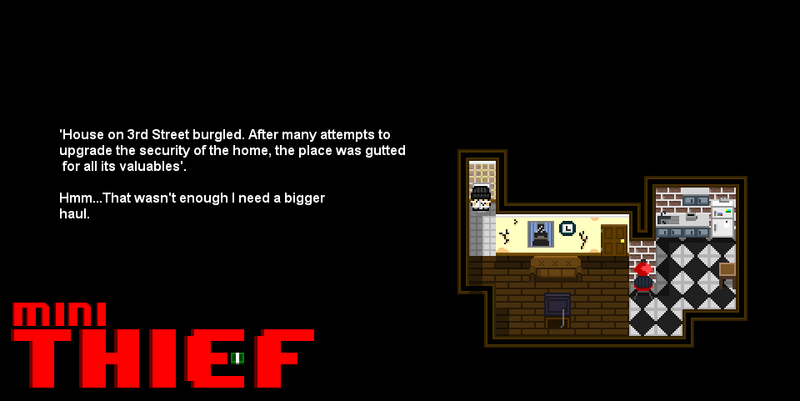 Burgle houses in order to obtain some sweet, sweet loot but, be careful not to be caught!. Your objective is simple, search the area for items which are exchangeable for money. Each level you pass will increase in difficulty. The more difficult the level is the more loot you will obtain. Avoid the owner at all costs! If he catches you, well, you lose everything! including your money! Bigger, Better and Harder Levels! + Possible Online Multiplayer! The more support we have for Mini Thief the more we can make this a great game by expanding the development to push further goals.We have ideas for possible multiplayer modes which friends can challenge each other(excludes android and ios). Use the sprites and tilesets! If you are interested in using sprites and tilesets like the ones you see in Mini Thief then this sprites asset pack may be what your looking for. These 16x16 sprites and tiles were used in most of my games and I am releasing them on here for everyone to use. Check out the page too I make personal custom characters too! -New Halloween theme level (Accessible through Pawn Shop door). -Fixed AI always knowing where players are after finding 1st player in co-op. -Fixed co-op camera when one player gets knocked out. -Can now leave Night Vision Goggles on and use other tools. -Fixed Night Vision Goggles store item description. -Fixed Abyss walking glitch permanently. -Added Proximity Net trap, if set off you will be trapped. Either sneak by it or use cable cutters to disable it. If trapped, repeated tap interact to escape faster. -Added Fire Cracker distraction tool. -Fixed dog in Online mode. -Fixed Steam screenshots not working. -Added Saved screenshots to save location and Screenshot key; F12. -Fixed crash with Decoy and Chewtoy. -Changed "Join" to "Enter IP". -Online PvP added **Very early testing**. Mainly to gather information, bug test, and get feedback. Open port 26900. -Changed Guard dog to grab player rather than bust the player. 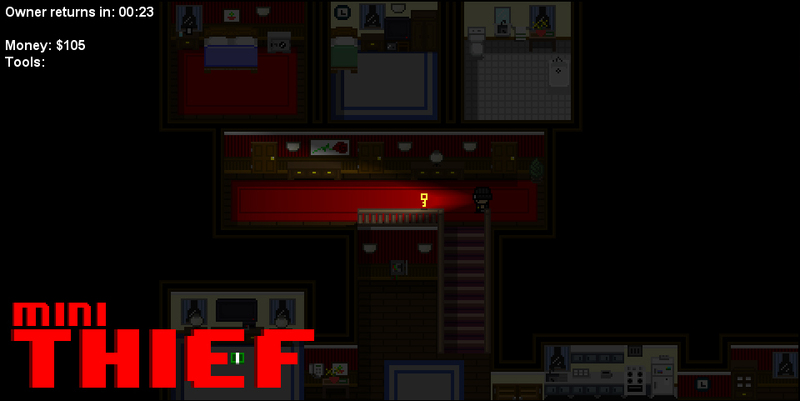 -Added delay from finishing a level to outcome screen. -Chat function implemented for online play. -Added customizable hats. Only a couple are available at the moment. 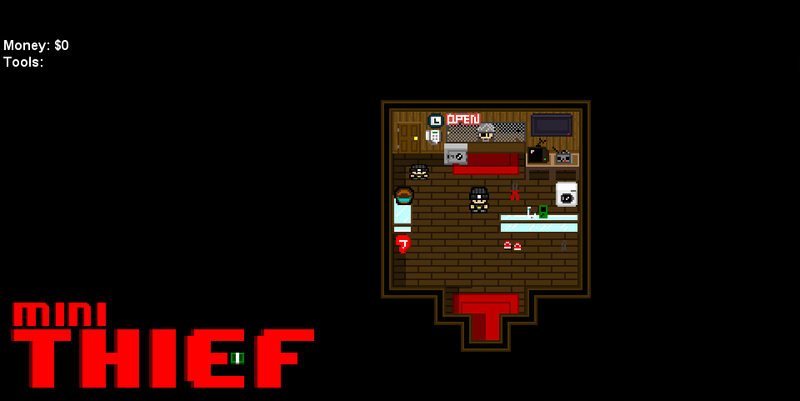 -Added Changing room to pawn shop. Interact to change hats. -Updates to existing levels. Larger in most cases. -Fixed Loot outcome screen bug. 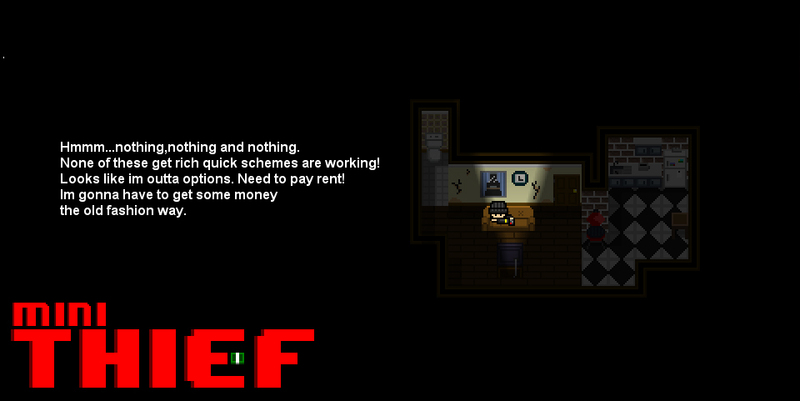 -Changed Looting so you can interact with only one instance at a time. -Added Retro style effect, can be removed in Settings. -Added Zoom effect, can be removed in Settings. 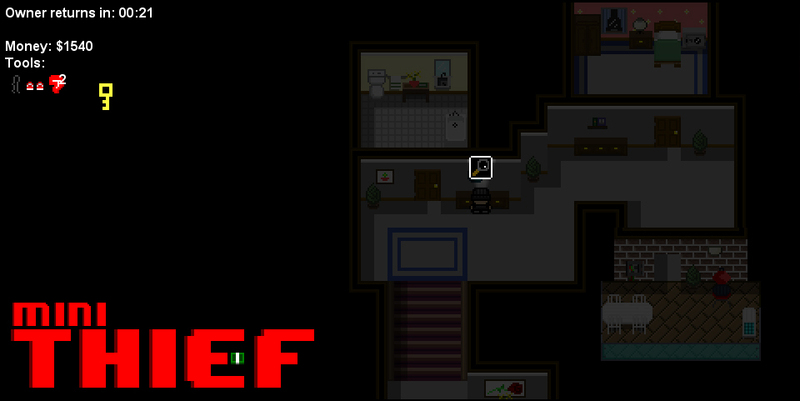 -Added Custom Controls for keyboard and controller. -Removed text near security cameras. -removed Small house 2. Was prematurely released. -fixed wife getting stuck in Small house 1. -(Hopefully) Fixed notorious Artorias bug. -Fixed light bug in bank and jewelry store. -Changed, can now escape after objective item is collected. -Changed Menu back key BACK to Esc. -(Hopefully) fixed NPCs walking into Abyss. -Fixed Owner being locked out of Medium House. -Added Clock sound to timer as audio cue. -Fixed lighting in Jewelry Store. -Fixed crashes with the guard dog. -Fixed radial light not turning off while hiding. 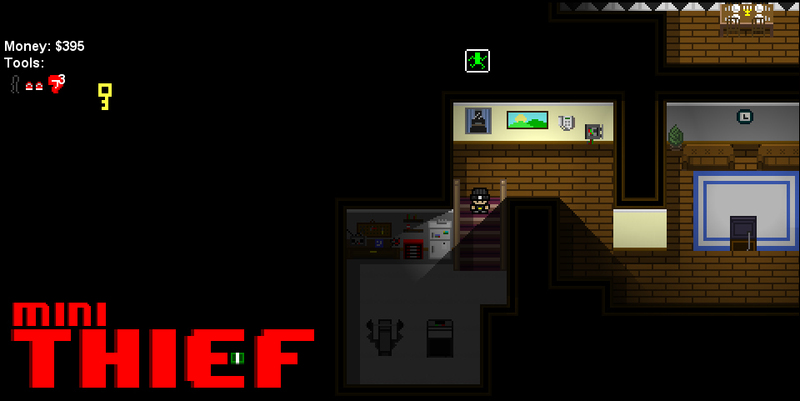 -Fixed player placement in Medium House. -Local Co-op! (may be buggy at the moment): Friend can now help you progress the entire game. Hey thanks for your post! We can take care of that soon for you hopefully if things work out as planned. We can have a look at possibly putting in the next update. will this be coming to mac? Great video! Just a heads up, we have updated quite a bit to include more tools, more NPCs, more AI behaviors, and Local Co-op. I bought the game today. Meanwhile it's available in early access on steam i cannot download it from here. So, mind telling us when the game will be downloadable? We apologize about the delay and we are actually waiting on steam so we can release the full game on both sites at the same time. Steam are having problems which is preventing the early access game to be uploaded. We apologize again and thank all of you for your patience. Gotcha. Thank you for the quick reply and for clearing it up.